Mahashta Mûrasi lives in North of India. He is a former cobbler, and he claims that he was born in January 1835. 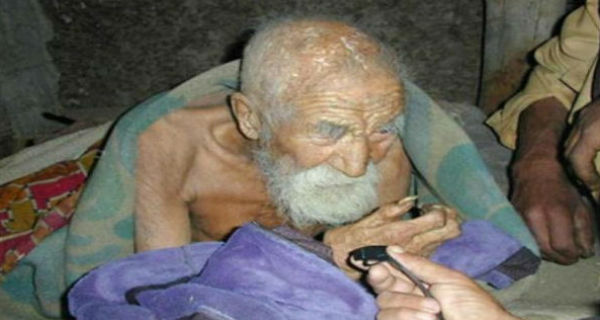 This makes him the oldest man that ever lived on Earth, according to the Guinness World Records. The Indian officials say that this man was born at home in Bangalore on January 6th, 1835, and is recorded to have lived in Vârânasî since 1903. He worked as a cobbler until 1957. He retired at the already venerable age of 122. The birth certificate and identity cards of Mahashta Mûrasi seem to confirm his version. On the other hand, there is no medical examination that can confirm this for now. His last doctor died in 1971, so there is little information available about his previous medical files. This man has been entered in the Guinness World Book of Records as the oldest man in Indian history.